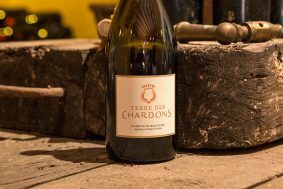 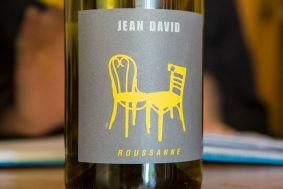 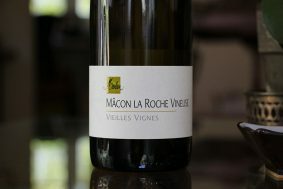 Mas Rousseau is a massale selection of Carignan Blanc planted in 2012. 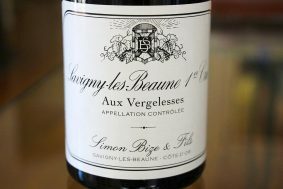 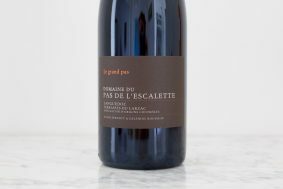 (The Rousseau on the label is Delphine’s family name, while I theorize that “Mas” is a play on words that comes from an abbreviation of massale, not only its common shortening of maison, commonly found in the south of France.) 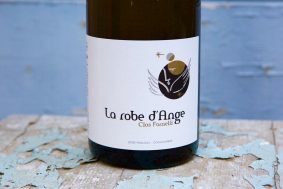 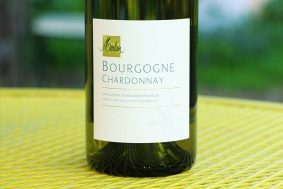 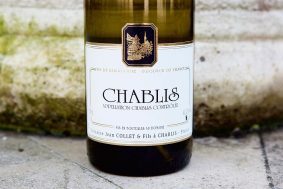 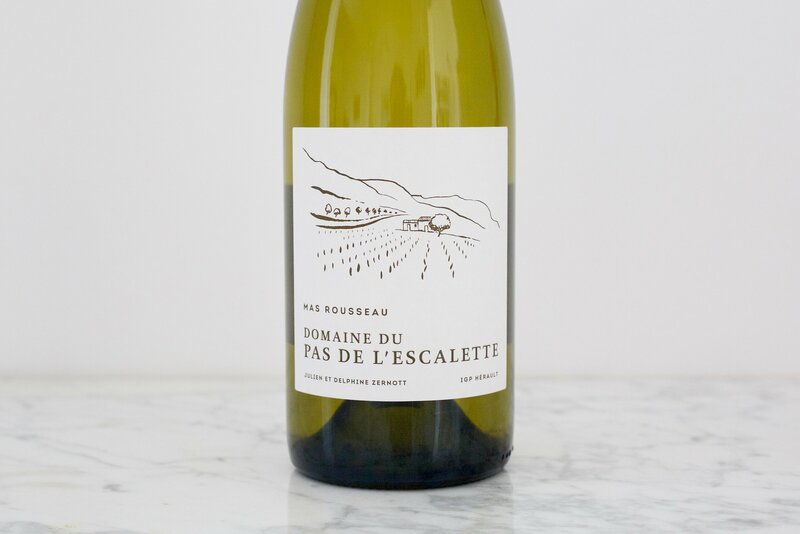 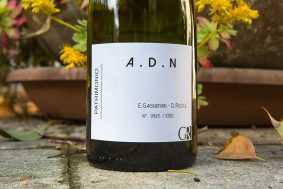 Like all of their white wine vineyards, this one faces east to catch the early sunlight, and it has deep, well-drained clay soils dense with Jurassic limestone scree from the Larzac plateau. 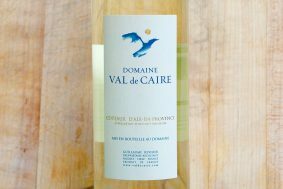 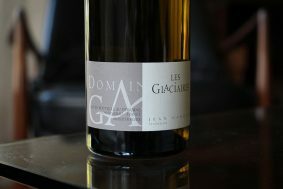 Carignan Blanc naturally produces modest levels of sugar (potential alcohol) when properly mature and ready to be harvested. 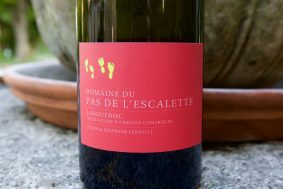 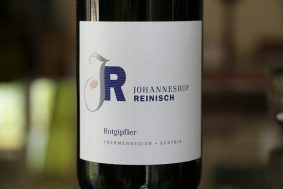 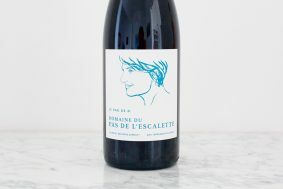 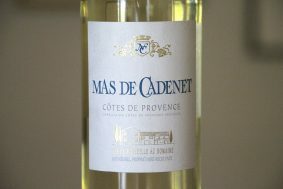 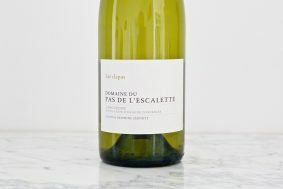 This is perfect for the style of white wine of Escalette and this cool climate Languedoc sub-region.